Sometimes I get overwhelmed trying to think of something clever to paint for someone. Then I reread this great post by Dosankodebbie about the basics of etegami and remember that it’s not the wow-factor you are after, it’s the sentiment behind the etegami. 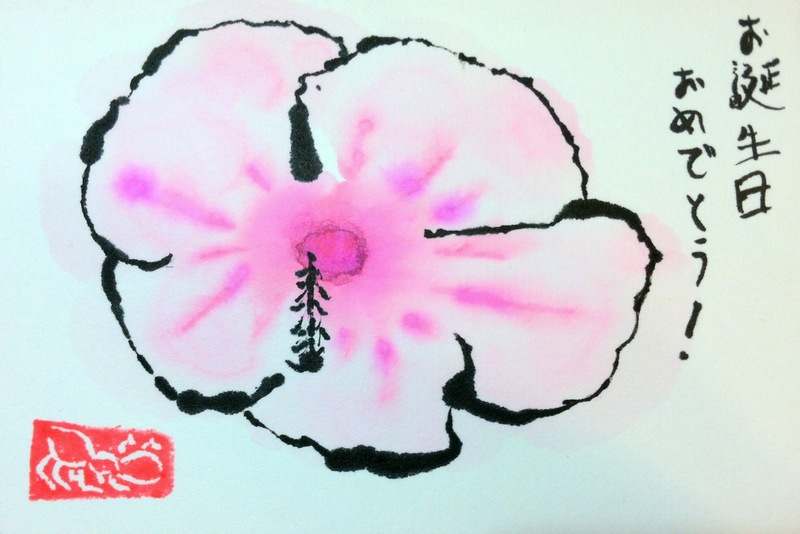 In this birthday card, I relied only on the key elements of etegami that she outlines — wobbly, slowly-drawn sumi lines; “laying” the color, rather than making strokes with the brush, to let the paint spread naturally; limited use of color; and leaving space uncolored. ← My Inbox: An Abstract Etegami, plus two hanko from Shungo!